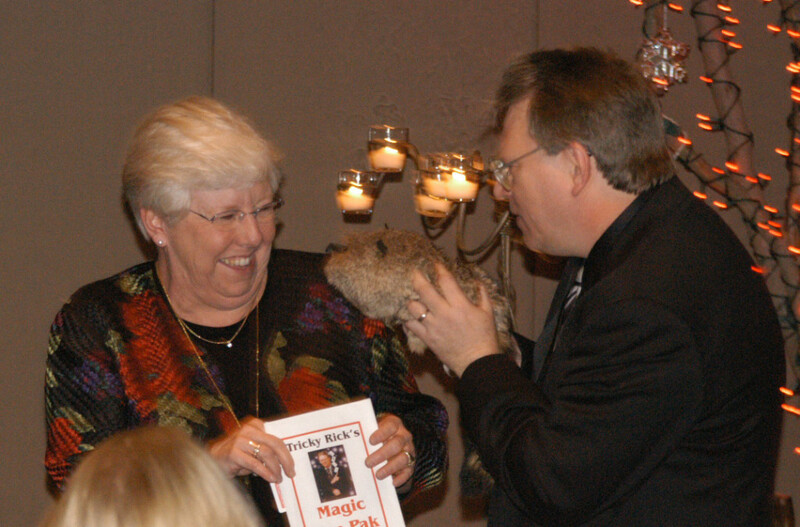 Whether you’re celebrating a private party for a few friends or a corporate banquet for three hundred guests, count on Tacoma-Seattle magicians Rick Anderson and Jeff Evans to bring the amazement. 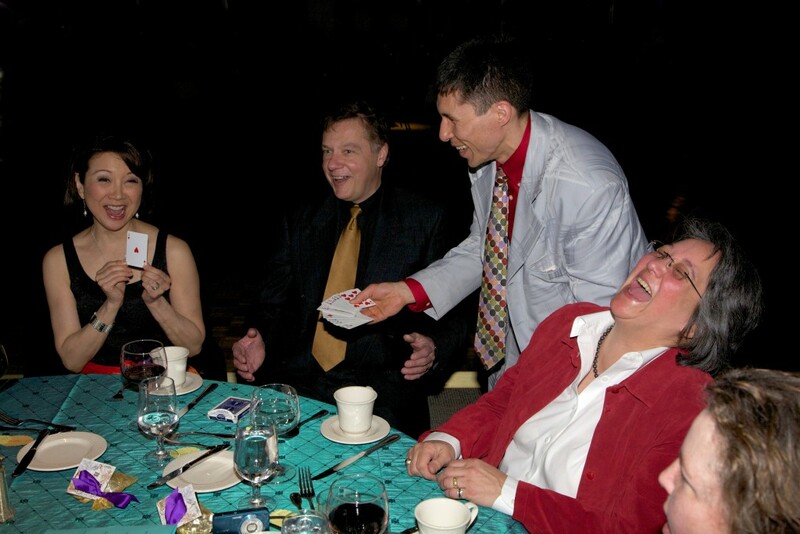 Learn more about our strolling, stand-up, and customized magic shows for private parties and corporate events. From a simple birthday party to an elaborate corporate banquet, event planners have the same goal; to give their guests a great experience. How often do you hear anyone talk about the food, or the decorations, or the DJ for days or even weeks after an event? Not too often. But…performances by Amazement Productions routinely create “buzz” for a very long time after your event. Exactly the result you want. 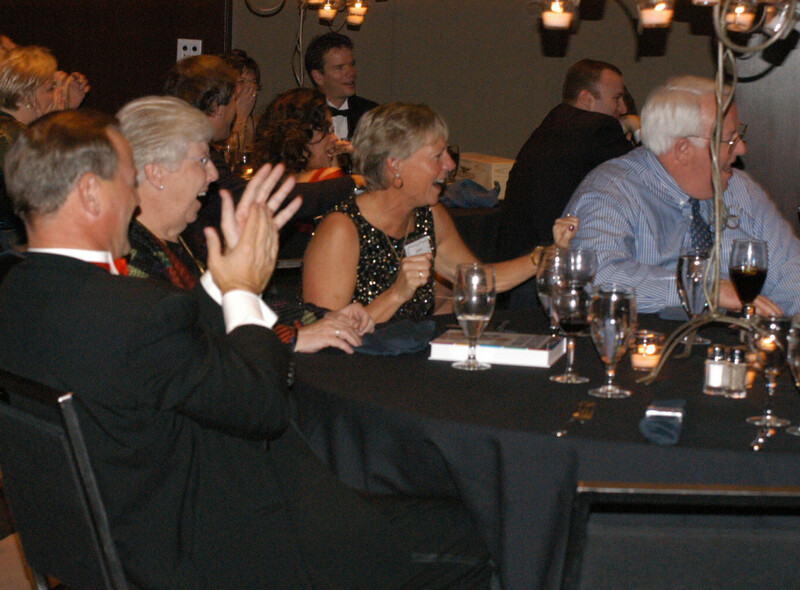 Magician Rick Anderson performing comedy magic for a holiday party at the “W” hotel in the heart of downtown Seattle. Full of Audience participation. Something special happened in 1998 when two of the Pacific Northwest’s busiest and best full-time magicians merged their talents together and created Amazement Productions LLC. Your job of guaranteeing great entertainment for your successful event became that much easier! Magicians Jeff Evans and Rick Anderson have over sixty years of combined experience performing for private parties, corporate audiences, and special events. Amazement Productions LLC is based in western Washington and makes events successful throughout the Pacific Northwest and beyond. “I can’t thank you enough for your exceptional performance at our office party. The “close up” tricks had people wondering how you did them for a week afterwards and the show after dinner was equally fun and entertaining. If there are managers, bosses, supervisors, etc. looking to make an event memorable, I would gladly give them your name as one who accomplishes just that! In addition to top-notch event entertainment we also provide customized magical marketing solutions for business applications such as tradeshows, hospitality suites, and sales meetings. To learn more, call Rick Anderson at (253) 473-5456 or Jeff Evans toll free (877) 412-5064 or send e-mail to info[at]amazementproductions.com.